Fall is in the air! I’ve been fully enjoying and embracing this season and I’m loving it! Apples, pumpkins… Ahh, it’s bliss! Okay, so here are a few things I’ve made this week. #1. 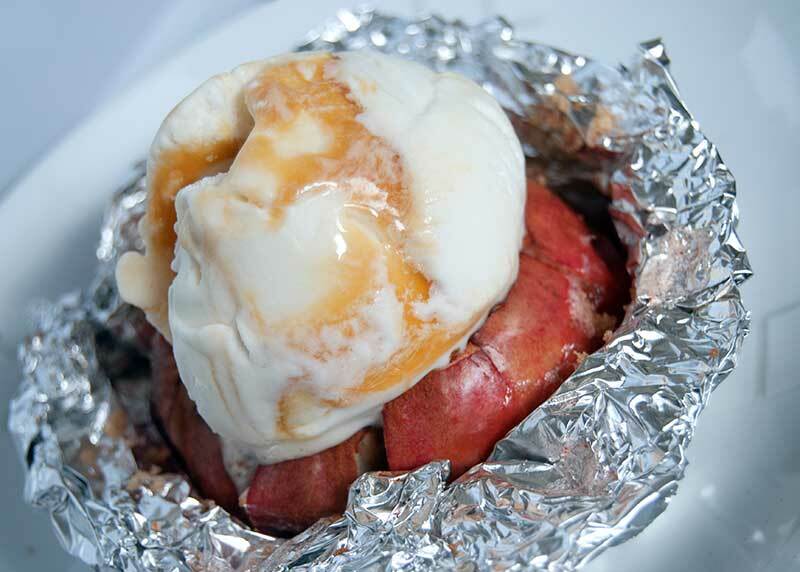 Baked Apple. 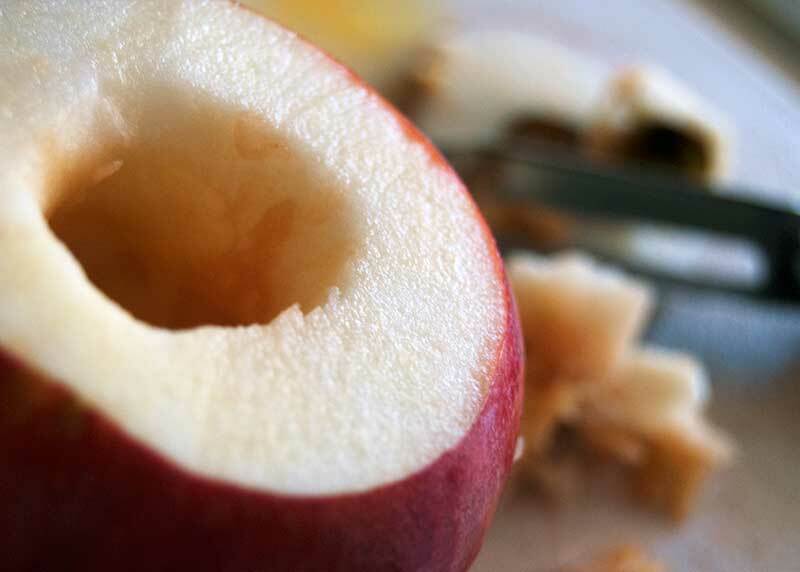 I used the suggestion here (#6 on the post), to cut the apple. Then I just wrapped it in foil to hold it all together, added some brown sugar and spices, baked for about 30 minutes, topped it with some butterscotch swirl ice cream, and it was fantastic! #2. 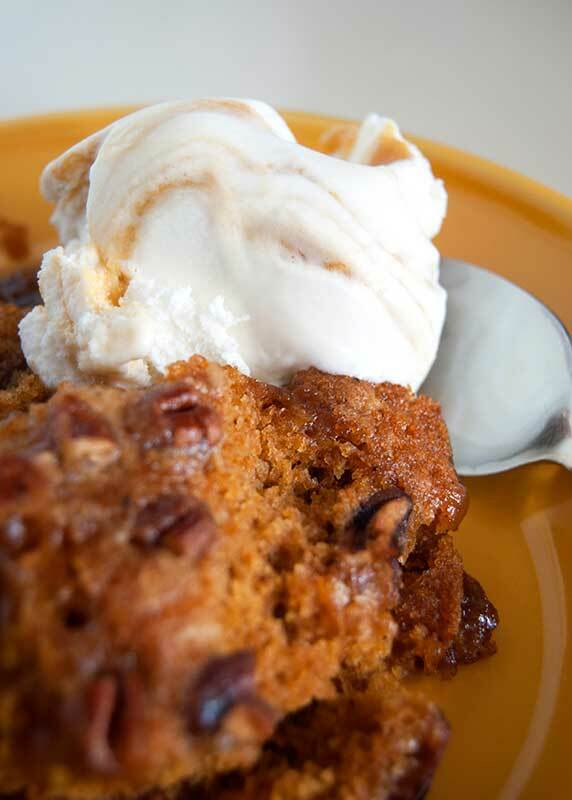 Pumpkin Pecan Cobbler. Seriously, you have to try this stuff! It is amazing! All I did was substitute the flour out for gluten-free multi-purpose flour and followed the recipe as it was. I also topped this with butterscotch ice cream, and it was delicious! I’m going to need another one this week!